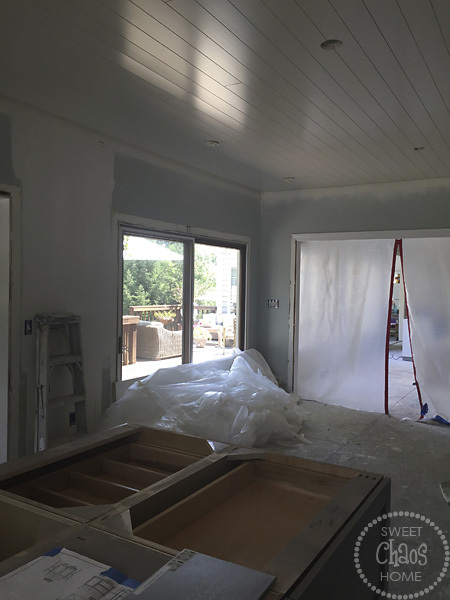 If you've ever lived through a remodel, you know that things don't always go as planned. 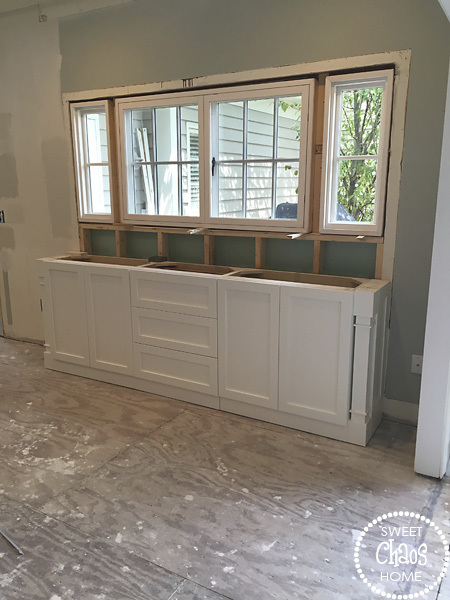 In my last post, I shared some of the changes that turned out better than expected like the planked ceiling, the painted woodwork and the new hardwood floors. Well, lest you think it's been all smooth sailing, let me tell you about our window. 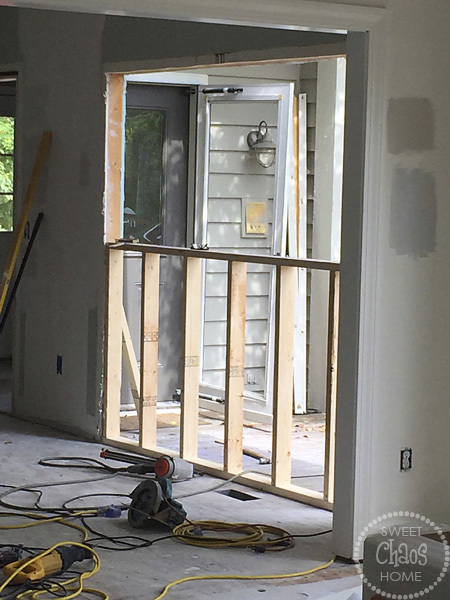 In the photo below, you can see our large sliding glass door which leads out to the deck. We never used the door, so we decided to remove it. 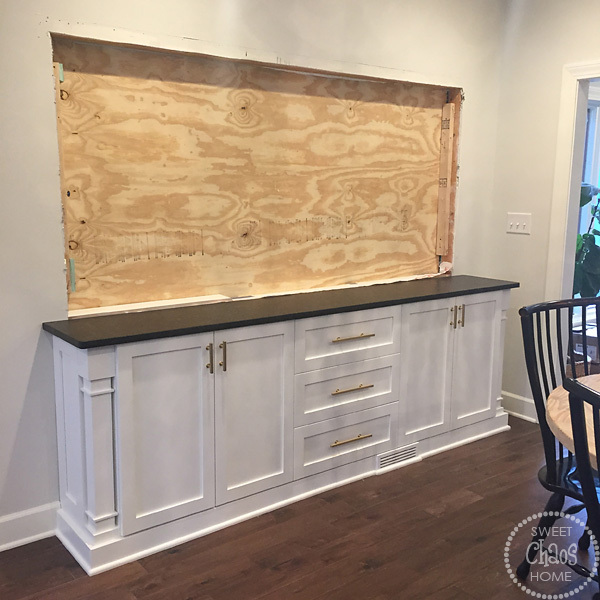 The plan was to put in a pass through window with cabinets underneath it. When I returned home that afternoon, the new window was in place. And, guess what? I hated it. It looked so much higher up and smaller than I expected it to be. I felt like I was looking out of a prison cell window. And, it definitely was not at a comfortable level for passing food from the countertop. All throughout the remodel, I had a tendency to obsess over every detail and decision. Except for the window. Aside from selecting the type of window, I left the measurements to our contractor and window supplier. Somehow the window ended up being shortened by 11 inches from the original one we had planned on. Thankfully, our contractor was great and covered the cost to replace it with a larger window. And the best thing is that I was able to make changes to the new window. I decided to go without grills or screens, and to do a wood window instead of vinyl. So, what seemed like a total nightmare actually worked out better in the end. Or, at least, I hope it will. I am sure it would really look good! Yeah you've been busy! :) Well, thanks for sharing! Hi Kat... Thanks so much! The floors are Columbia Chatham Timeworn in Dockside Maple. Have a great night!